Neither rain nor wet feet will stop a real optimist! Are you guided by a dream no matter what? 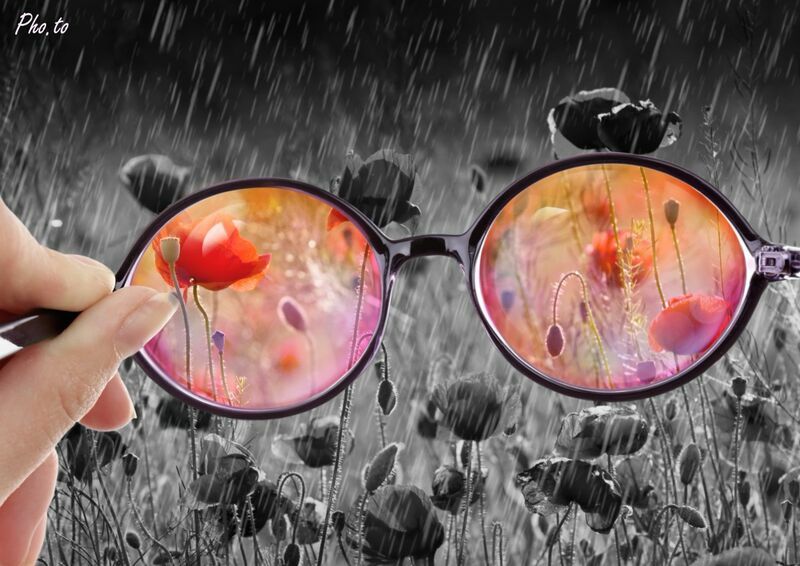 You can depict your determination with our ‘Through Rose-Colored Glasses’ photo manipulation. Have you ever noticed that sometimes people call past a gold, dreamy time, even if in fact it was quite neutral or just moderately pleasant? It happens, because the human brain is inclined to forget minor annoyances and focus on positive aspects of an event. This phenomenon has a special name — rosy retrospection. 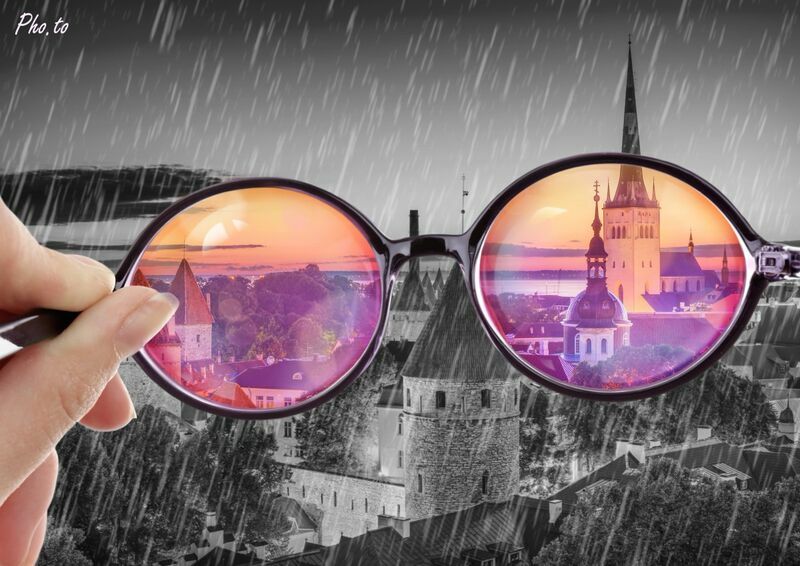 The “see through rose-tinted glasses” idiom refers to both phenomenons: the optimistic view of life and the rosy retrospection. And now we’ve made a dreamy photo manipulation to illustrate this phenomenon in pictures! Positive thinking will support you on rainy days. 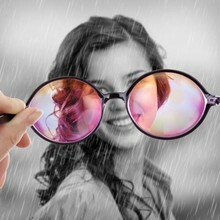 Add the rose-colored spectacles effect to your picture as a symbol of optimism. Get ready to amaze your friends and subscribers with an unusual and dreamy photograph! If you like funny and positive photo effects, be sure to check the ‘Jokes and Pranks’ page on Funny.Pho.to.